I am constantly getting inspired by the things around me. Whether it's something from the present or 8 years ago. 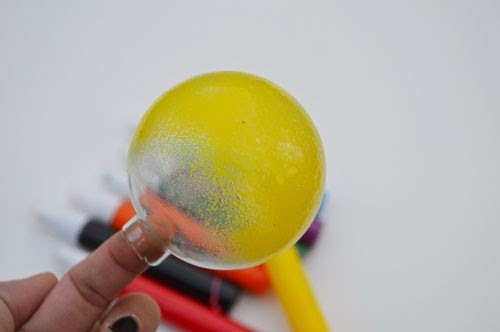 The great thing about being a craft blogger is when you get struck with inspiration a craft tutorial magically appears. Well, not magically but the process sure feels like magic I tell ya. I am super excited about today's post and I am sure you will be too. 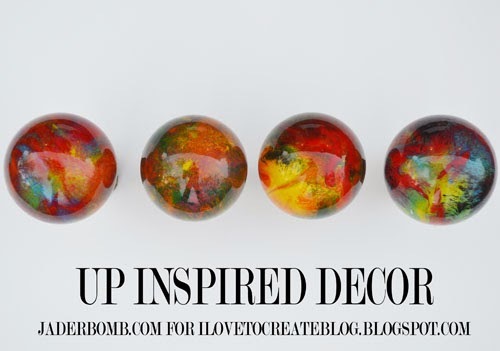 I will share with you 3 different ways to use this UP inspired decor. 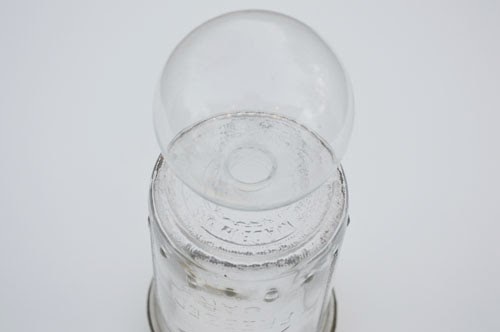 The first thing you will do is take the top off of the ornament and place it top down onto a flat surface. 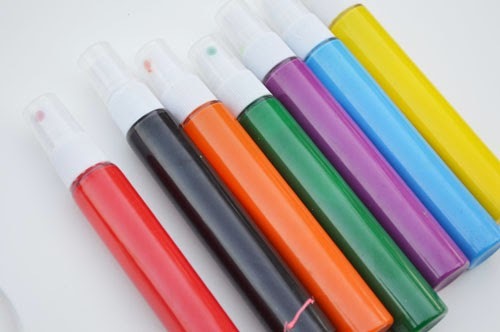 Grab a tube of the spray paint and start spraying in one spot. Don't spray the entire bulb at one time. These sprays are so easy to use and they spray consistently the same over and over. 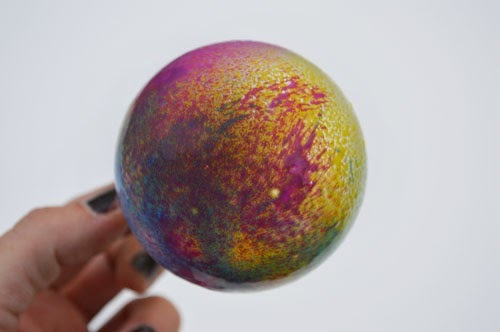 Once you start spraying your ornament with multiple colors it will look a little clumpy but don't worry once it settles and dries it will look like a magical ball floating in the universe! How gorgeous are these suckers! I took a stick of wood cut them with a saw to create small pieces of wood for the base of the ornament. I wanted them to look like hot air balloons, or like the house on UP with balloons on top. 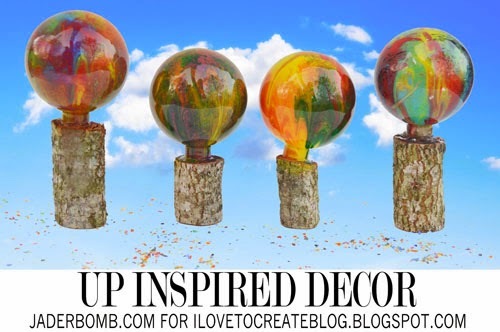 You can also let them dry, put the top back on the ornament, glue the wood to the bottom of the ornament then hang from the ceiling at different heights! You can also hang these on your Christmas tree as hot air balloon ornaments. 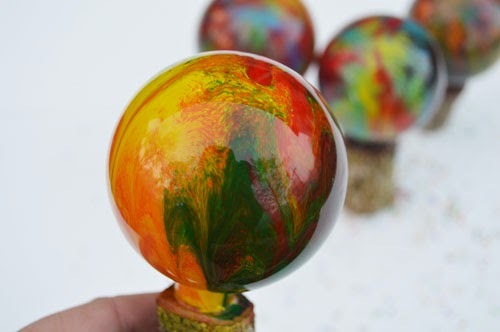 Another thing you can do is put the top back on them and hang then as plain sphere ornaments on your tree. 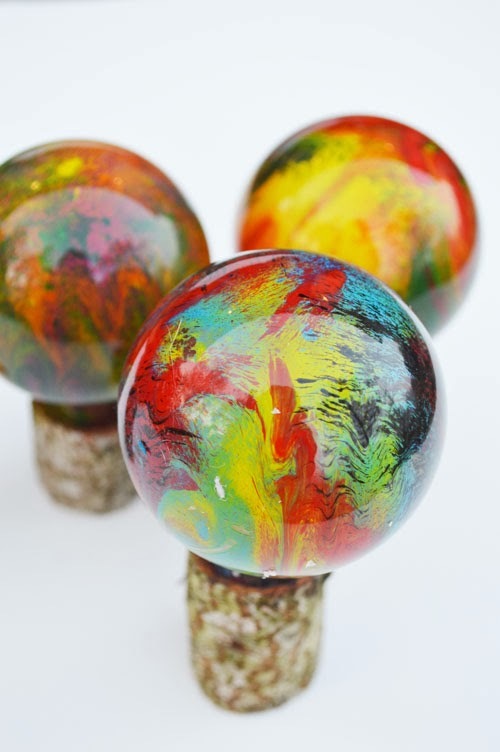 These will look magical with white light beaming around them. I hope you enjoyed this fun post! Just stay creative and put them all over you house. I promise you they will make you smile big! How do you get the spray in the top half of the ball? Amazon Cashback Offers December 2017 Upto 65% Cashback Deals Amazon cashback offers with sbi hdfc icici axis banks credit & debit card on mobiles appliances TV, washing machines laptops computers books and many.